Cast out from his homeland, Sendatsu has used his sword-fighting talents to survive in the foreign land of the Vales. With the assistance of Rhiannon – the first human to use magic in hundreds of years – Sendatsu has helped Huw and the Velsh defeat an invading army. Better still, Sendatsu now has the key to reclaim his children. It will mean a return to Dokuzen – a city where deceit runs deep and Sendatsu expects an unwelcome reception. How will Sendatsu and his unlikely allies, Huw and Rhiannon, know who to trust when they can barely trust each other? Valley of Shields begins with a heart-pounding battle (remember that cliffhanger from Bridge of Swords?) and the action doesn’t let up throughout the novel. Perfectly balanced with secrets and intrigue, romance and familial relationships, it has left me wishing that the third and final volume of this series was already available. Sendatsu, our quintessential reluctant hero, finally bites the bullet in this book and starts to make decisions himself, instead of watching passively and hoping trouble passes him by. I liked getting to know about his old life better, especially the way he lives and his relationship with his children and mother. Huw and Rhiannon are with him every step of the way, trying to convince the ‘elves’ that they are equal to humans and should live peacefully alongside them. With the main cast all together, it’s weird to see Sendatsu, Asami and Gaibun in the same place, considering their love triangle. Again, the world building in this novel blew me away – everything is so well thought out and explained that I had no trouble imagining it. While Bridge of Swords focussed on showing us the human world, here we were introduced to the elven world, which is every bit as interesting and exotic. I admire the cultural and social differences between the elves and humans, and understood each group’s motivations. I love that the author manages to make the readers’ sympathies shift with every change in perspective; it takes a clever writer to be able to pull that off consistently. This series is focussed on physical battles between the humans and elves, but while the previous book had a few small-scale skirmishes in it, and focussed a lot on the training of human troops, Valley of Shields has a few larger battles. These are long, strategic, bloody affairs, but I think the inclusion of so many narrative perspectives works in this case because it never got boring. Each character saw something different, and more importantly, was a part of a different part of the defence/attack, so that they only gave a complete picture of what was happening what taken together. It was enjoyable, and Duncan Lay writes some of the best one-on-one fight scenes I have ever read. 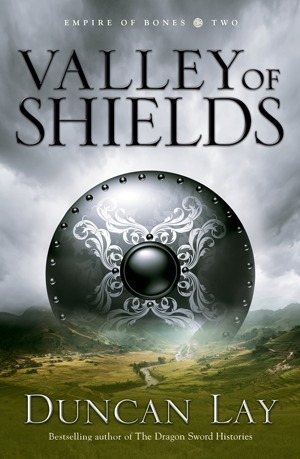 Valley of Shields is a wonderful sequel to Bridge of Swords, and will be enjoyed my many fans of the Fantasy genre. 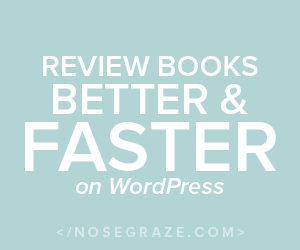 Although somewhat lengthy, it rewards its readers with amazing characters and realistic plot elements. For me, the next book (Wall of Spears), cannot come quickly enough.